Finding a better option to optimize the images without affecting its quality than Optimizilla is a very difficult task. The users can quickly compress their PNG and JPEG images without any complicated steps. The developer has added a brilliant slider in this tool that let the users see before and after optimized image. So, there will be a better preview of the quality of the image. It is a brilliant tool that allows the users to optimize a great variety of images like GIFs, PDFs, JPGs, and many more. The EWWW Image Optimizer can also optimize the present media in the library. Having this plugin will give you images in the best format with proper quality. It is available in both free as well as the paid format for the users. If you are looking for one of the easiest free image compression tools for JPEG, then this one will suit your needs. As its name shows, this tool only optimizes the JPEG images and don’t focus on other formats. The size of images can be reduced according to your requirement that makes it phenomenal to use. So, the users looking for an easy to use tool should go for this one. The next one in this list is the Kraken tool that pleases everyone with its quality. The Kraken let the users select between two formats- lossless & lossy compression. There is also a unique feature in this tool through you are free to choose the chroma level in the image. Overall, it is a brilliant option to go for. Installing Image Recycle is one of the most amazing image optimization tools to boost website speed thanks to its impressive results and compression abilities. Besides that, it has plenty of extensions like Joomla, Shopify, WordPress, Magneto, and many more. This one is a dynamic tool that optimizes images of different formats. The Online Image Optimizer can load photos at a very quick rate on the site. Additionally, the images can also be converted from one type to another with the help of this tool. However, you will only be allowed to upload one image at a time with a maximum size of 2.86 MB. The Resize Photos is also a fascinating choice to resize and compress photos digitally. It can work with a variety of formats, including PSD, BMP, GIF, PNG, and JPG. This tool comes with a plethora of editing effects like borders, shadows, rounded corners, captions, etc. Overall, this exceptional tool can perform an excellent job for you. This one is known as one of the most well-known image optimization tools available in the internet world. It offers lots of amazing opportunities to the users for compressing images brilliantly. The biggest feature of this tool is its ability to upload up to 20 images at a time. On top of that, the downloading process after the compression process is quite easier even if you are doing it for the first time. Equip with separate tools for both PNG & JPEG, the Gift of Speed is something that you will love to install in your system. It is known to offer great performance in terms of image optimization. This tool has performed brilliantly in all the areas, so it deserves to be part of this list. If you prefer compressing JPEG images quickly, then the Convert Image will be the most amazing decision to make. You can convert a JPEG photo into plenty of other formats like ICO, PNG, BMP, GIF, and many more. There are onboard settings in this tool that let the users reverse, crop, and straighten images comfortably. 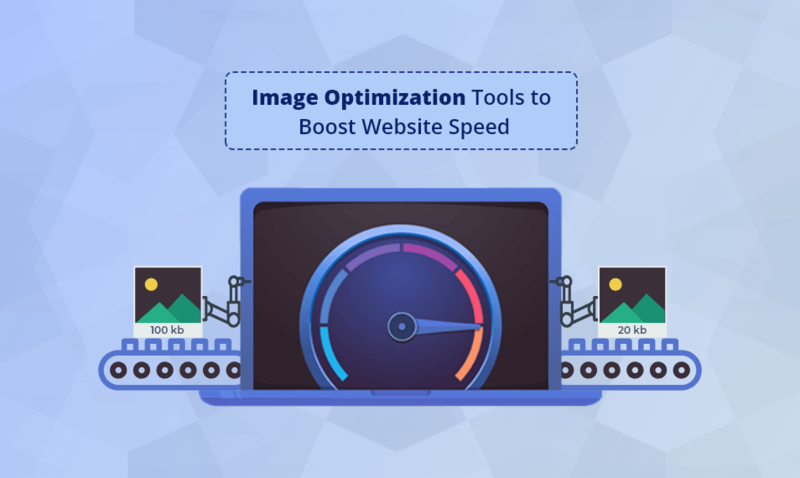 That’s all, we have explained all the top-most image optimization tools to boost website speed brilliantly. We have added all of those tools in this post after tremendous research and testing process. If you have a query about these tools, then we suggest you tell us in the comment section.